Preparation for the Sacrament of Confirmation begins when the youth is a Sophomore in High School. If you are an adult age 18 or older inquiring about Adult Confirmation, please CLICK HERE to learn more. Registration for the 2019-2020 High School Confirmation Program will be open this summer. To register your teen you MUST come to one of the Parent Orientation Sessions where you will receive your teen’s Registration Packet. (*) = The ONLY way to receive a Confirmation Registration Packet is to attend one of the above-listed Parent Orientation Sessions. Registration packets WILL NOT be available at any other time. (**) = Year 2 Students: ALL required paperwork and sacramental certificates MUST be received by the Parish Office NO LATER THAN August 26, 2019. Your registration packet MUST be COMPLETE by this due date in order to be allowed to continue with the program. Will not have conflicts with work, sports, or extra-curricular events that prevent attending and participating in Confirmation sessions. Classes will be held on Sunday afternoons. Each candidate beginning in the second year must select a Confirmation name based on a saint who inspires them, or is someone they would like to emulate. Confirmation students MUST complete a 2 page paper (typed, double spaced) on the life of the saint they have chosen that includes an explanation as to why they have chosen that saint. Tell me from your heart how you identify with your saint. Your saint paper is due on Sunday January 20, 2019. Year 2 students will receive a Confirmation Assessment in early to mid January. Attending our Confirmation Retreat is MANDATORY. Our retreat is held at the H.E.B. Foundation’s Camp, “Singing Hills” (www.foundationcamps.org). The three-day weekend is typically scheduled for the first or second weekend in April. Teens who have not yet received Eucharist will be asked to spend this year in preparation for Eucharist and will then be eligible for Confirmation the following school year. Should be able to help in the formation process through communication and meetings, and should be able to attend various events throughout the year. For this reason, we strongly recommend you pick someone local to be the sponsor. If you need help finding a good sponsor, the Confirmation Director may be able to help find one from the parish community. Confirmation students are allowed ONLY 3 EXCUSED ABSENCES (absence due to illness or out-of-town travel) and ONE UNEXCUSED ABSENCE per program year. Students who exceed this limit will be in danger of NOT receiving the Sacrament of Confirmation. Students can make up missed lessons. However, this may only be done three times during the program year. So, only do this when absolutely necessary. How do I make up for the lesson I missed? Please only one log-in per family, we are only allowed a certain amounts of users. Select Log in, then create an account. Once this is turned in your absence will be changed from “unexcused” to “excused”. Please make sure your name is on all papers!! This may only be done three times in the year so please only do this when absolutely necessary. Each student is allowed one unexcused absence and three excused absences. If more than that is missed the student will be in danger of not getting confirmed this year. All Confirmation students are required to do 10 hours of community service. Confirmation yr. 2 students MUST complete and submit their service hours by March 31, 2019. Confirmation Yr. 1 students must complete and submit their service hours by March 31, 2020. However, I strongly recommend that Yr. 1 students work diligently to get them done this program year or this summer. A volunteer verification form must be signed by the volunteer supervisor each time service is done. PLEASE CLICK HERE to download and print a PDF version of this form. There must be both an email address and a phone number provided for the volunteer supervisor (the adult in charge of the service opportunity). Parents may not sign as the volunteer supervisor. There is a spot for parents to sign at the bottom of the verification page, please only sign if, to the best of your knowledge, your child has truly done the service they are claiming. I will be randomly calling the volunteer supervisors to verify the hours but I also count on the parents to help keep the teens honest. Service hours must be done with a parish, school or non-profit organization. They may not be obtained by doing work around the home or for relatives or for businesses that are for profit. Students are encouraged to do at least two hours in service of Our Lady of Guadalupe-Helotes as a way of giving back for all they are receiving this year. You will find a link to a PDF list of Parish Volunteer Opportunities below. Please do not turn verification sheets in until all 10 hours are completed. Once your have completed your 10 hours, please staple all forms together and turn them in any time BEFORE March 31, 2019. Please do your best to limit yourself to 4 service projects so that I will only have to verify with no more than 4 supervisors per teen. You may do all 10 hours with the same project if you choose. You need a separate verification sheet each time service is done, but not necessarily for each hour. For example, if you help out with Habitat for Humanity on 5 Saturdays for 2 hours each time, you need 5 sheets turned in. If you have any other questions, please do not hesitate to contact me via email at JStam@olghelotes.org or leave a voicemail message for me at (210) 695-8791, Ext. 110. …for Second Year Students Only! Retreat information for the 2018-2019 Program Year will be announced AFTER Thanksgiving. Our Confirmation Mass date and time is selected by the Office of the Archbishop and based on the Archbishop’s calendar. Rehearsal for YOU and your SPONSOR is on Monday, May 13 at 7 PM in the Church. Rehearsal for YOU and your SPONSOR is on Tuesday, May 21 at 7 PM in the Church. 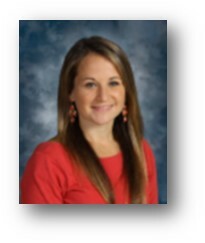 My name is Jen Stambaugh and I am excited to take on the role as the High School Confirmation Coordinator. I am originally from Louisiana but 12 years ago I left Louisiana to go to Houston, then Rhode Island and then lived in Chili for a year and a half doing mission work. I then moved to Dallas where I have lived for the past six years, teaching Theology at Bishop Lynch High School. I moved to San Antonio in December with my husband James and my ten month old baby, Elizabeth. Since moving to San Antonio in December I have been staying home with my baby. I have lots of experience working with youth, including youth groups, camp counseling, leading mission trip and of course teaching. I am thrilled at this new opportunity to help the youth of this parish discover more about Christ.